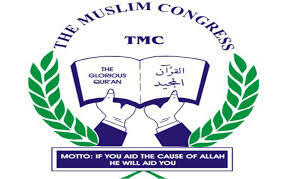 The Muslim Congress (TMC), Ogun State chapter, on Tuesday, has told Muslims in the state the candidates that they should vote for in the general elections billed to take place on Saturday, February 16th and Saturday, March 2nd in the state. The Waali of the Ogun State chapter of TMC, Dr. Ibrahim Ogunkoya in a statement, asked Muslims in the State to vote for either Muslim or Christian candidates who are capable and will be just to the course of Islam in the state. Ogunkoya in the statement asked Muslims in the state to vote only credible and competent candidates that will protect their interests in the state. He said, “Though we have preferences for candidates who identified themselves as Muslims and their level of commitments is well known to the Muslim communities, we cannot longer be deceived by the so-called Muslims who identify with the religion only by name and for electoral benefits. “In the circumstance where we have Christian candidates who have the capacity to deliver good governance, and adequately show understanding and commitment to the rights of Muslims; definitely we will prefer such candidates to the ones who are Muslim by name and incompetent. “We use this opportunity to call on all stakeholders in the electoral process to play the game according to its rules with a bid to ensure free, fair, peaceful and violent free elections”.